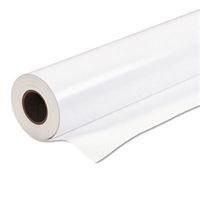 This Hahnemuehle paper is made of 100% cotton or pure alpha cellulose and is provided with a bright Premium-Inkjet coating. The gloss range goes from small (satin) through mid (pearl) till to high brilliant (baryta). Hahnemuehle Photo Rag Pearl Paper is well liked for its subtle gloss (pearl) characteristics and ability to bring the best out of fine art prints. Hahnemuhle's Baryta Photo Papers are a favorite among photographers for their digital darkroom qualities and ability to bring out detail in B&W and color print applications. Hahnemuehle Baryta FB 350gsm is an archival photo paper designed for traditionalists among photographers and has been designed to supplement the award-winning Hahnemuehle range of baryta paper. All Hahnemuehle Baryta & Pearl Paper are highly regarded by photographers for their ability to produce photographic images of the highest quality, reminiscent of the darkroom photo papers of the past. These genuine artist papers by Hahnemuhle are made of 100% cotton of pure alpha cellulose present smooth and textured surfaces and are provided with a matte Premium-Inkjet coating. All of Hahnemuehle's Matte fine art papers have a special coating that permits high quality print output, making these papers ideal for limited edition and fine art reproduction prints that last a lifetime. Hahnemuehle Photo Rag Papers are highly regarded by print & photo professionals for its ability to produce a high quality reproduction and limited edition prints. Our assortment of Hahnemuehle Canvas for FineArt inkjet printing offers a choice between cotton and poly-cotton canvas. The different structures and white points of Hahnemuehle Canvas provide the best conditions to give an individual expression to any masterpiece. Daguerre Canvas offers a fine structure which is particularly good for fine art photo printing. Its bright whitepoint provides clear, fresh colors and contrasts for black and white reproduction prints. Monet Canvas is a heavy cotton canvas with a woven pattern and natural white color, perfect for art giclee reproduction and works well for high quality photo printing.